Moved from a nearby location in 1858, this is one of Eatonton’s earliest surviving houses. 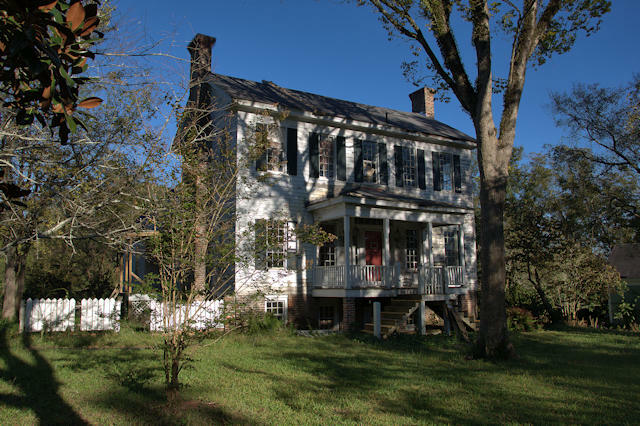 A simple frame structure reminiscent of the Plantation Plain style, its elevation, chimneys, and eave returns give it a more Federal appearance. The thin Victorian porch posts are obviously a later addition.